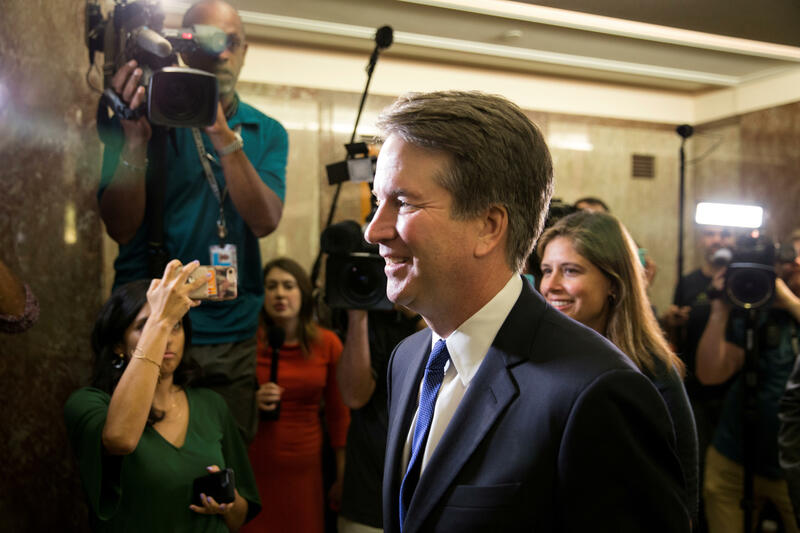 The Trump administration is withholding more than 100,000 pages of Brett Kavanaugh's records from the Bush White House on the basis of presidential privilege ahead of the Supreme Court nominee's confirmation hearing. The Senate Judiciary Committee was notified of the action Friday. George W. Bush's attorney Bill Burck told the panel it had essentially completed its work compiling documents, according to a letter obtained by The Associated Press. Bush directed them to err "on the side of transparency and disclosure, and we believe we have done so." But the current administration is also able to review the records, and the Trump White House "has directed that we not provide these documents," the letter says. Senate Democratic leader Chuck Schumer called it "a Friday night document massacre." Schumer said the decision to withhold the documents "has all the makings of a cover-up." "Republicans in the Senate and the President of the United States are colluding to keep Judge Kavanaugh's records secret, and trying to hide their actions from the American people by doing it on the Friday night of a holiday weekend. What are they trying so desperately to hide?" Schumer tweeted Sunday morning. Republicans in the Senate and the President of the United States are colluding to keep Judge Kavanaugh’s records secret, and trying to hide their actions from the American people by doing it on the Friday night of a holiday weekend. What are they trying so desperately to hide? Hearings for Kavanaugh are set to begin Sept. 4. Republicans are aiming to have Kavanaugh confirmed by the end of October, before the midterm elections. Democrats have unsuccessfully called for hearings to be delayed.